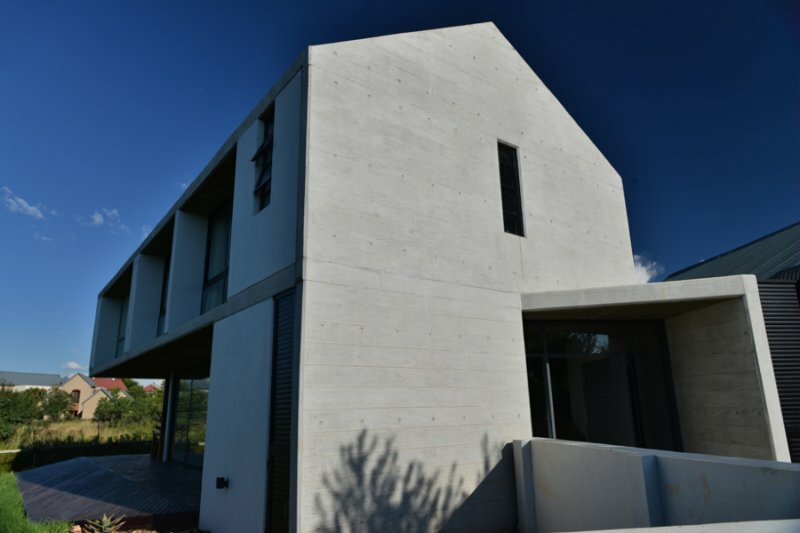 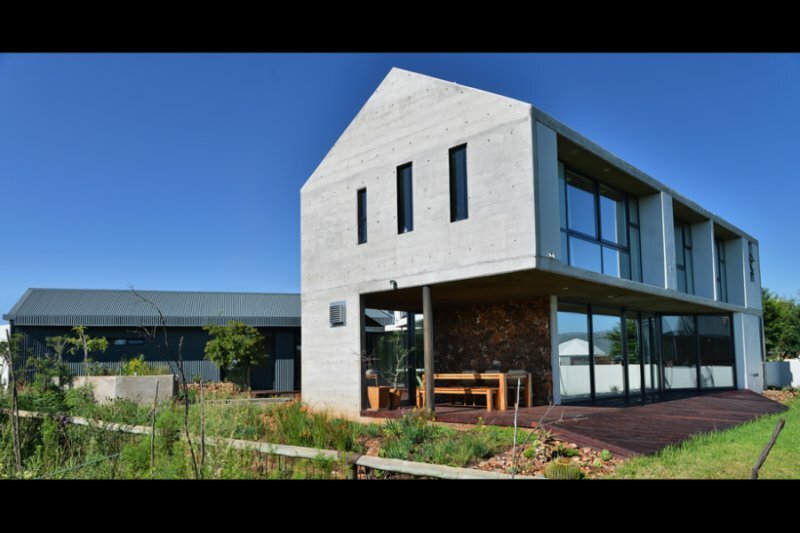 This courtyard house, built on a farm residential estate on the outskirts of the city, demonstrates the constant interplay between the immediate environment, and the structural expression, construction and tectonics of the design. 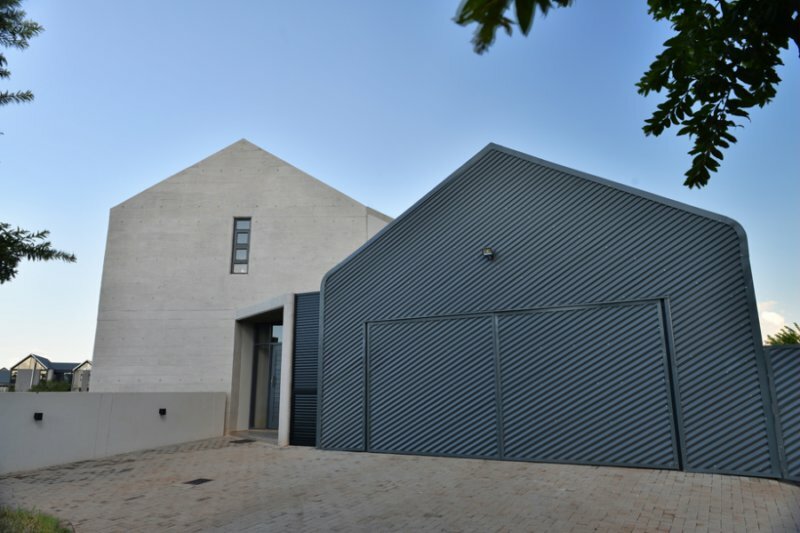 The location of the home on selected tracts of farmland turned into a residential node, surrounded by conservation corridors, informed this modern interpretation of a barn. 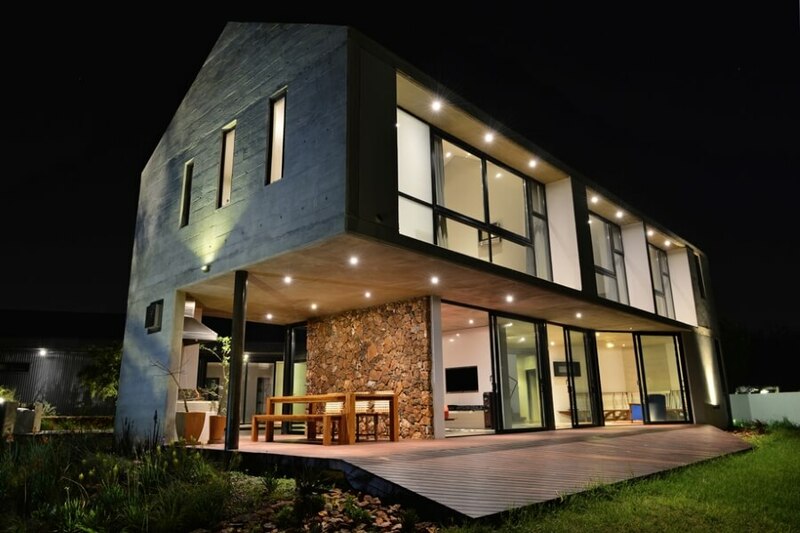 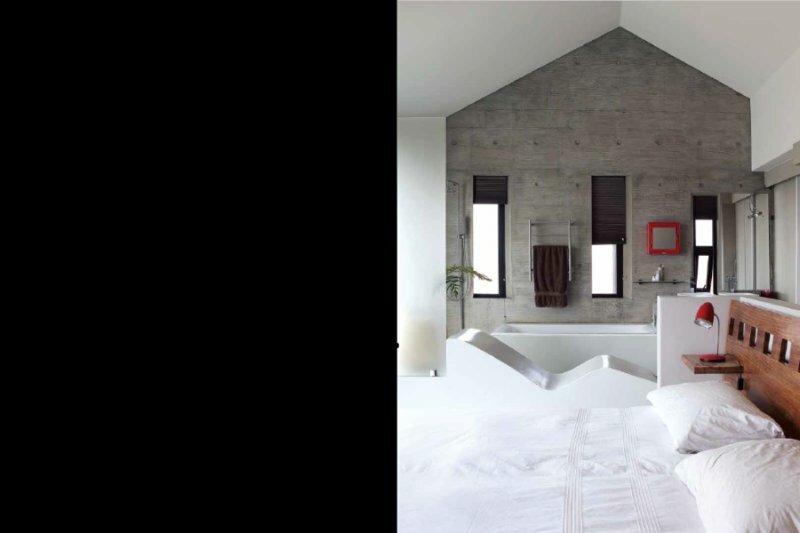 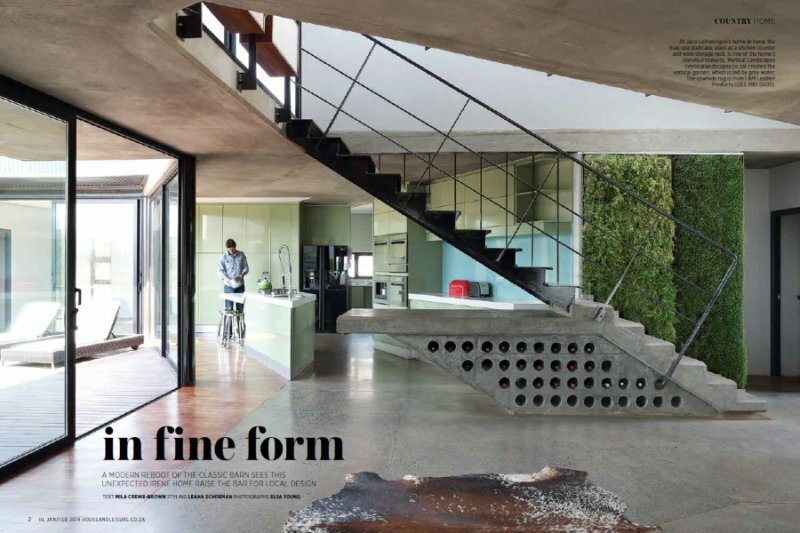 A harmonious relationship between the owner’s profession as a mining engineer, combined with his modern lifestyle, and his multifaceted dwelling. 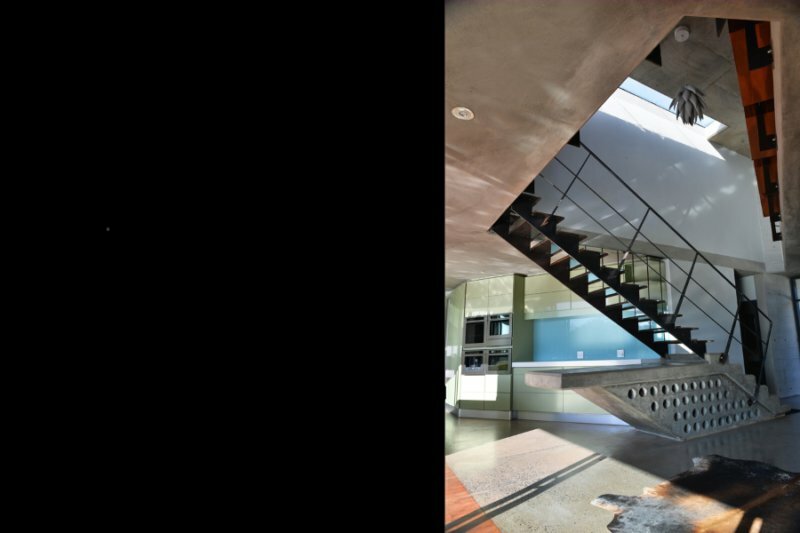 The courtyard seamlessly binds the two wings of the house: the north wing comprising the living areas and the south wing ;the guest bedroom, gym and staff quarters; and allows light to penetrate all the rooms. The courtyard deck houses the pool, which can be covered by a retractable wooden lid, to extend the entertainment area. 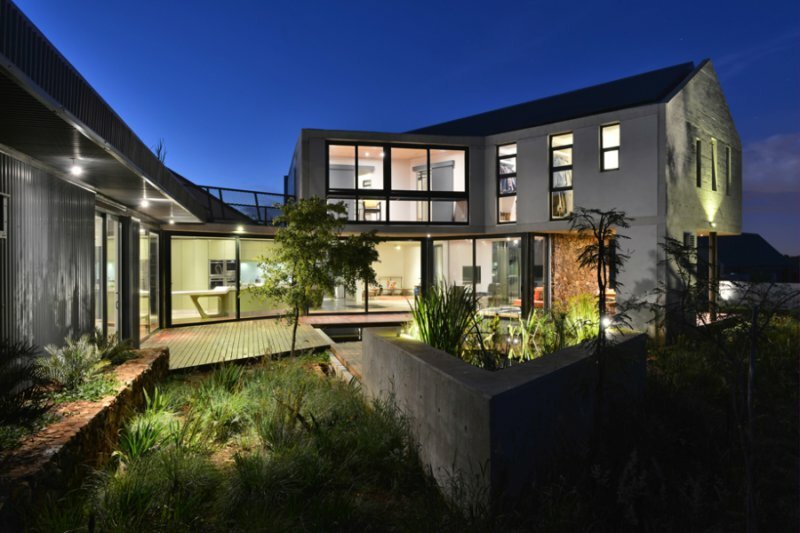 The interior open-plan living on the ground floor allows for maximum uninterrupted space. 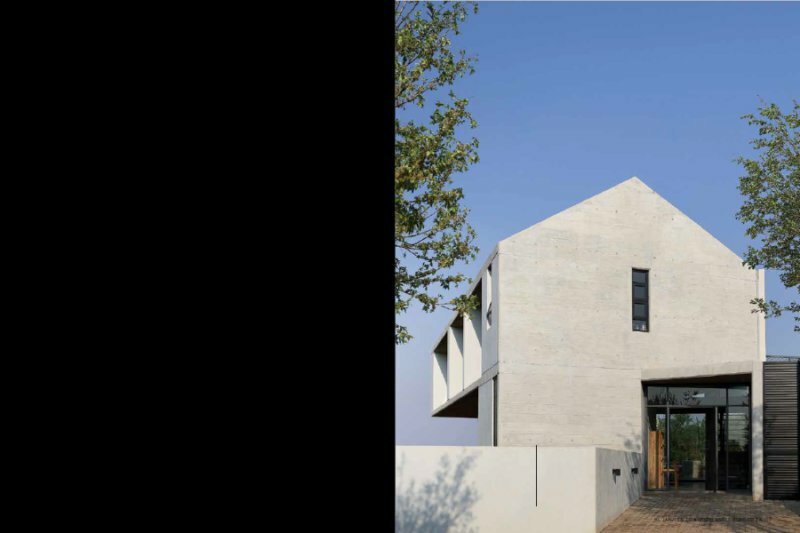 Cantilevered overhangs around the north side of the house create a wrap-around veranda-type space below: a feature in the vernacular farmhouse-style architecture of South Africa. 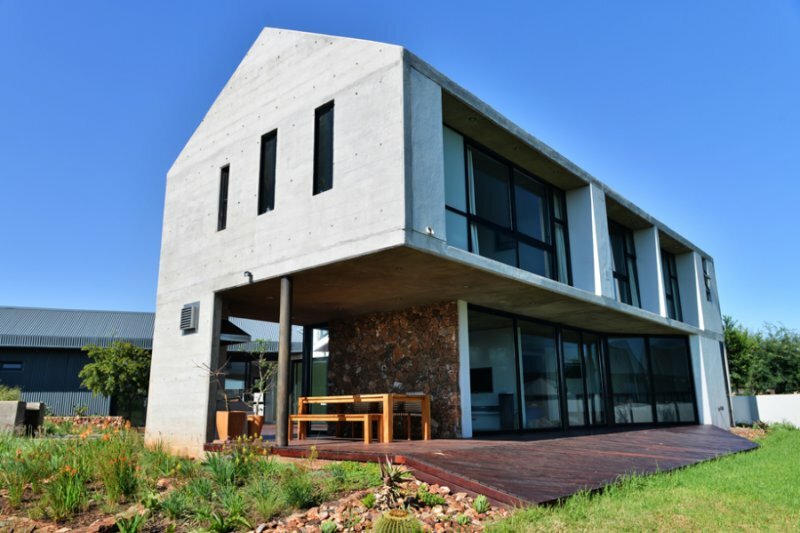 These spaces are used as covered patios for typical South African outdoor living, and allow for shading in summer and direct sunlight in winter.